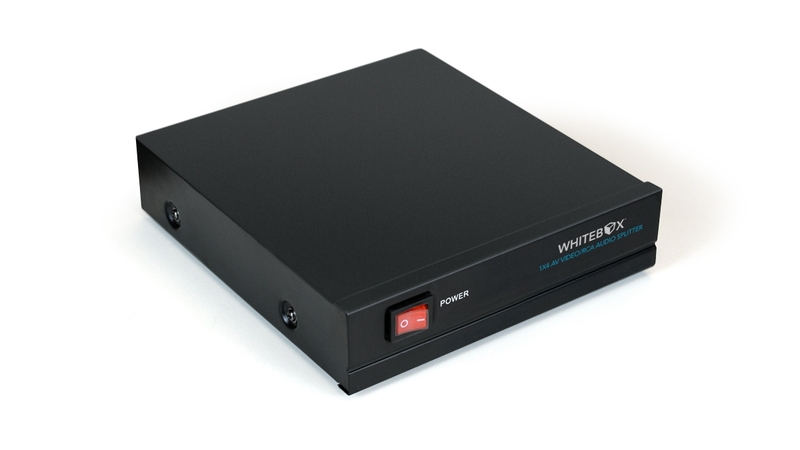 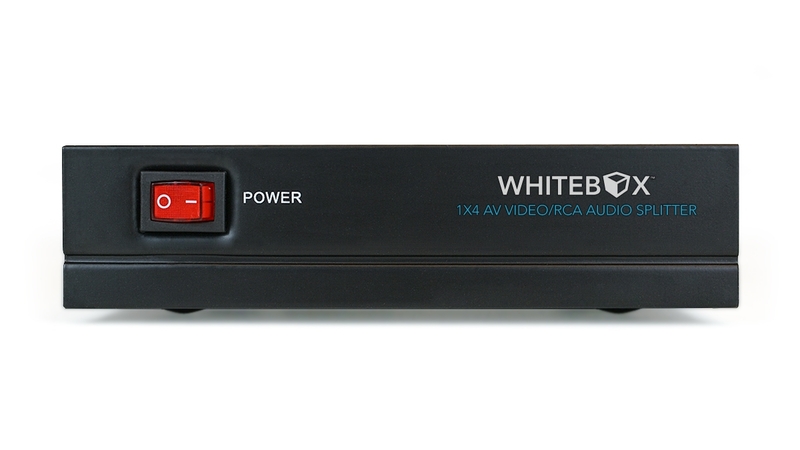 The powered 1x4 AV Video/RCA Audio Splitter splits a single composite video/audio signal to 4 composite video/audio signals while retaining crystal-clear quality. Powered unit maintains signal quality by avoiding power being drawn from the signal itself like passive units. 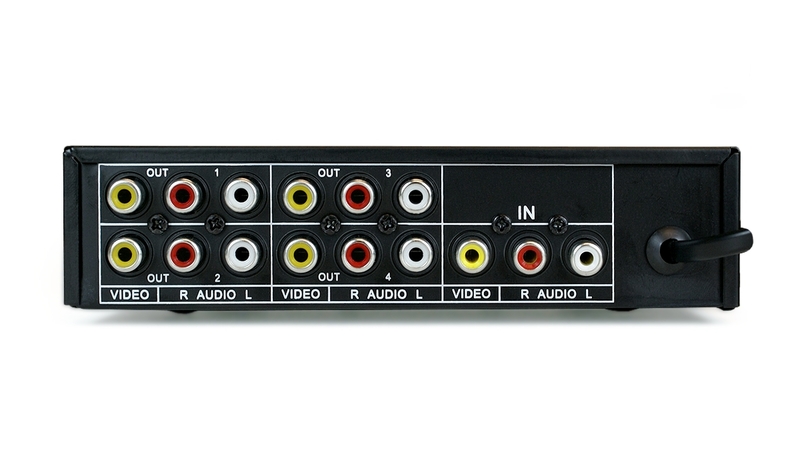 AV VIDEO/RCA AUDIO EXTENDER CAT5E SHIELDED CABLE - M/M, 3 ft. CAT5E SHIELDED CABLE - M/M, 6 ft. CAT5E SHIELDED CABLE - M/M, 1 ft.